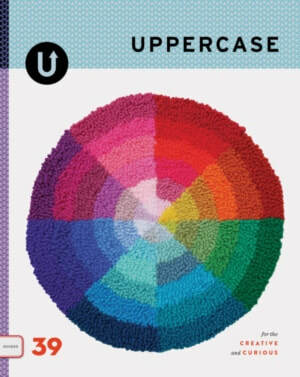 ​One of five felt artists featured in the Fall 2018 issue of Uppercase Magazine. ​Worldwide Colours of Felt is latest publication in a series of books featuring International textile and felting artists. I'm very pleased to have my work included in this beautiful book published independently by Ellen Bakker of the Netherlands. More information and how to order a copy here.